Hi everyone! 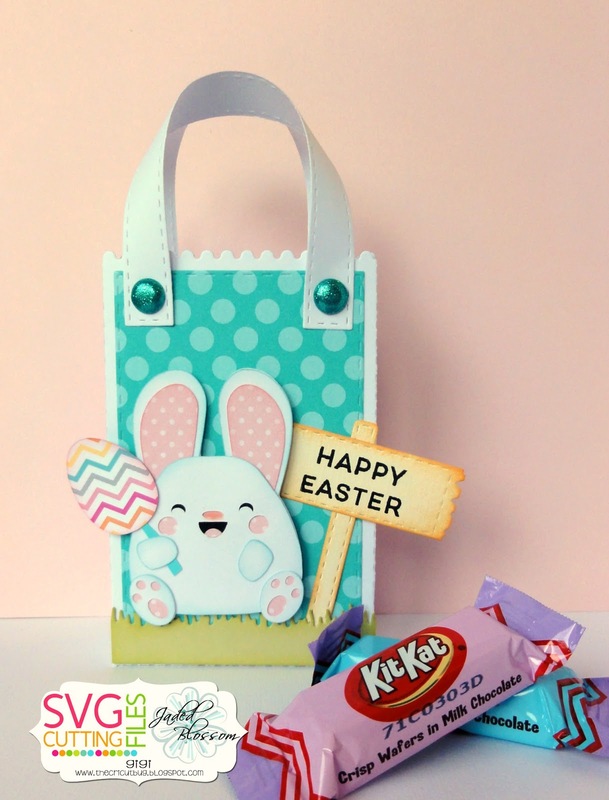 This is GiGi from The Cricut Bug and I am sharing this fun Easter treat bag I made. 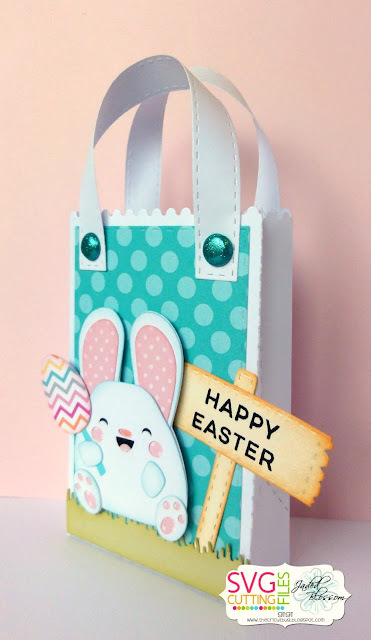 I added handles by cutting the strips from the Border Dies and attaching to bag using brads. I cut the bunny from the SVG Cutting Files Kawaii Bunny With Shamrock and instead, I covered up the shamrock with an Easter egg. I cut the sign using the Fall Dies and grass using the Spring Dies. 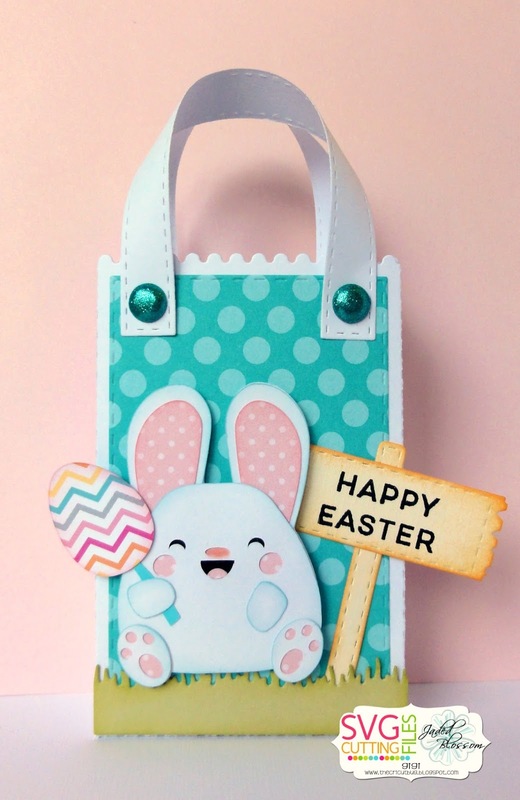 To finish, stamped the sentiment onto the sign using the Happy Hello and Happy Hello Add On stamp sets.